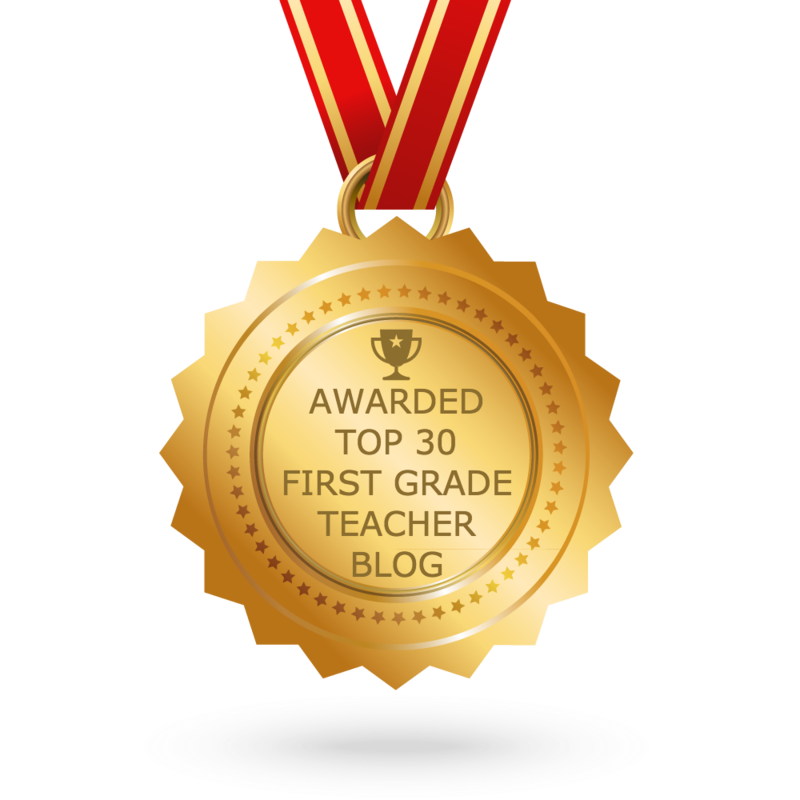 Sarah's First Grade Snippets: Five for Friday with a Freebie! 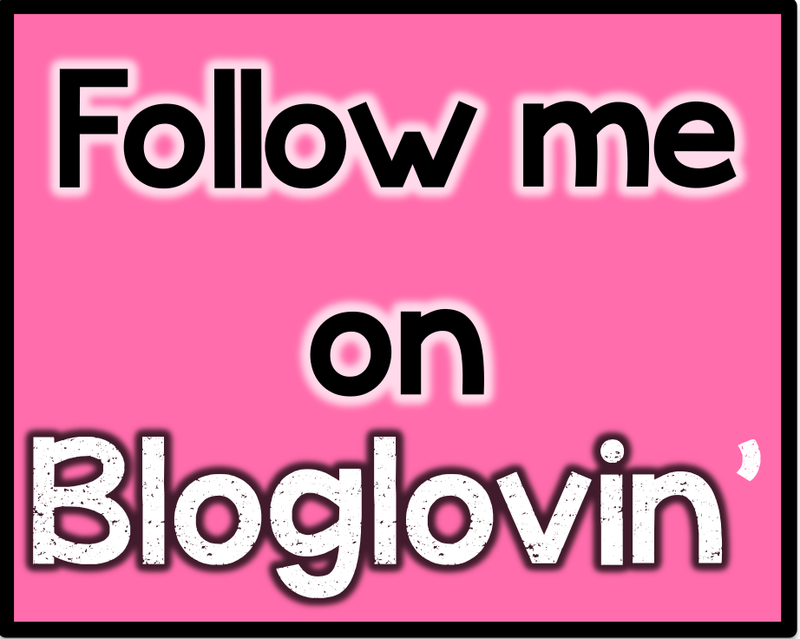 Five for Friday with a Freebie! 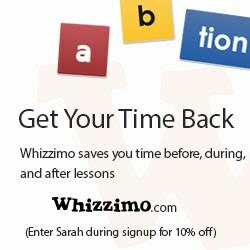 I'm linking up again for Five for Friday with Doodlebugs Teaching. 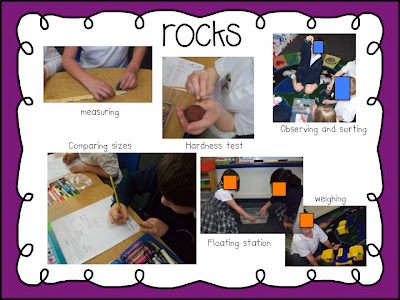 This week was all about the Earth. 1. 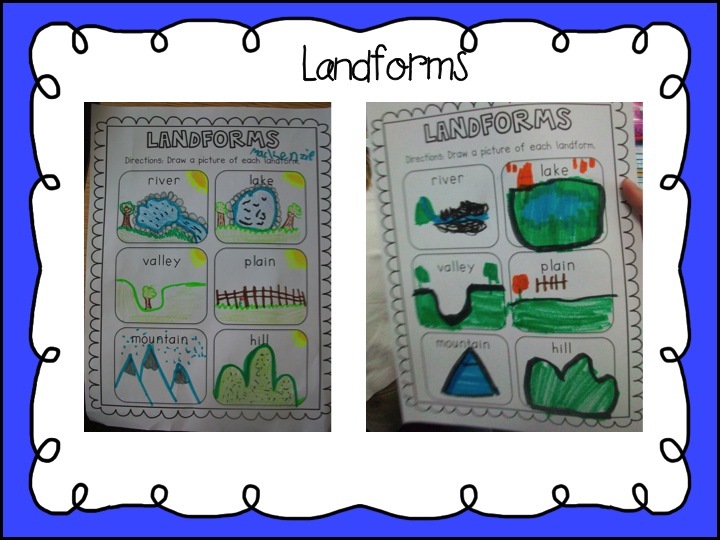 We learned about landforms. I love their cute little pictures! 4. I love their Earth day cinquain poems. We did these last year too. They paint the Earth on one side and glue their poems on the other side. They turned out so cute! 5. 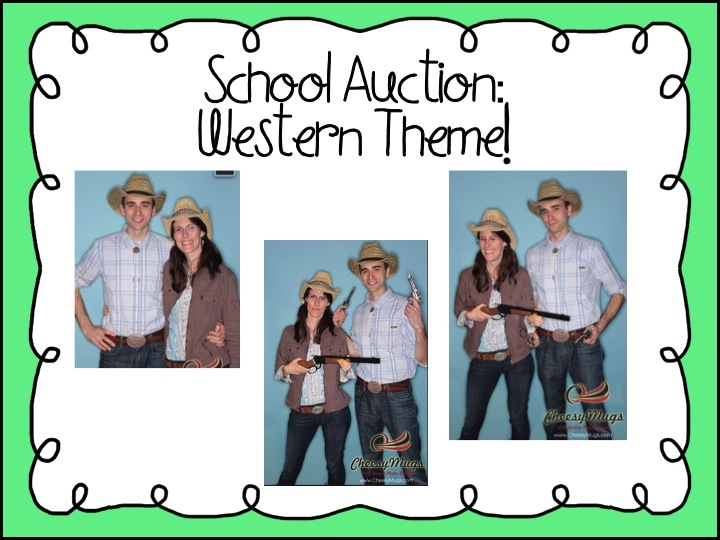 Very random: Our school auction is always a blast. It was a western theme this year. The free pictures are always a hit. I'm trying to look really intimidating in one of them like a tough cowgirl. Ha! Have a great weekend! I"ll be back tonight with May centers! 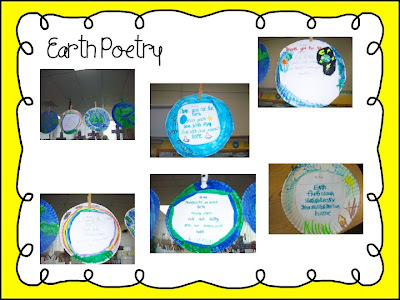 I love all the "earth" activities you connected with Earth Day. The landforms freebie is perfect for my first graders. Thanks so much! I love the rainbow namebows (and the fact that they're called namebows). 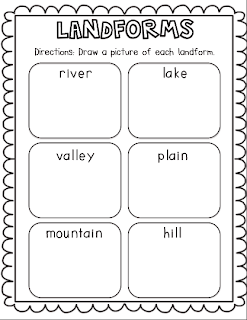 Thanks for the landforms freebie...would be a great assessment at the end of the unit! The Rainbow namebows always turn out so cute! 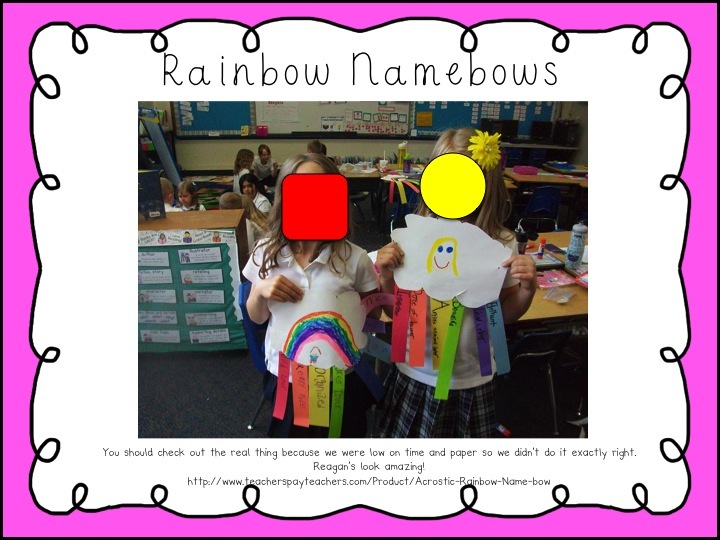 Those rainbow namebows look very cute!